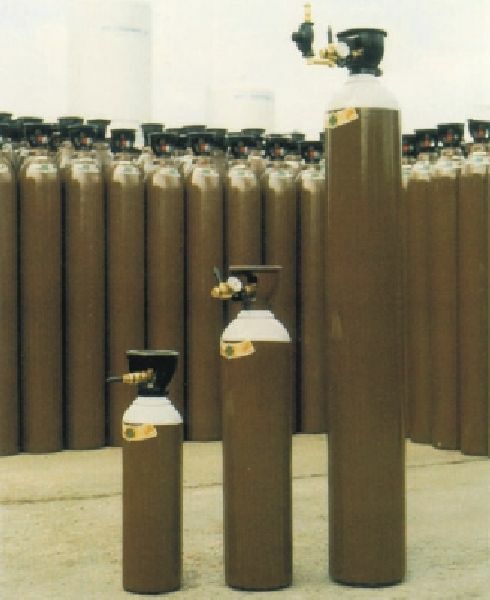 Special Containment Procedures: SCP-681 is to be contained in a row of standard pressure tanks rated to contain helium gas. All tanks are to be chained to the floor or walls of the containment room. The containment room is to be kept airtight and at near-vacuum pressures, with two Level 1 staff assigned to check for tank leakage once a week. Checks are to be made in pressure suits, and none of the gas is to be removed without clearance from Level 2 personnel. In the event of a minor leakage into the storage chamber, the room is to be temporarily flooded with normal air to force SCP-681 into collection traps in the ceiling. Should a very large leak occur, or should SCP-681 breach the containment room, nearby personnel are to be supplied oxygen masks immediately, and the bubbles of SCP-681 forming around them are to be siphoned off. SCP-681 can be safely placed in latex balloons without the usual concern of leakage, but no more than three average balloons worth of SCP-681 are to be removed from the containment room at any time. Description: Discovered in a warehouse under investigation for several cases of reported death by suffocation, SCP-681 is roughly two hundred 155-cm canisters of helium gas with unusual properties. In the event of leakage in the vicinity of brainwave producing subjects, it will move towards the subject and fill airways and sinus cavities with helium gas. In enough volume, this can lead to death via suffocation. While still in the 155-cm storage canisters, it retains some of the capacity to exert mobility, hampered by the weight of the metal container. In lighter containers, such as the few 60-cm party-sized ones collected with the main batch, SCP-681 can exert enough force to deliver a head concussion. The range of the effect is limited to roughly 30 meters, but this is highly variable. If placed in a balloon, it will simply drift towards any thinking organisms nearby and repeatedly bump against them. Balloon animals, however, will become slightly animate and act hostile, though still largely ineffective due to being simple latex balloon animals. SCP-681 will, through unknown means, migrate into nearby balloons if it breaches containment.